I'm sure this will be nothing more than a guilty pleasure for some here and possibly even frowned upon by others, but its nice to see Korngold represented on a "mainstream" "Pops" release which will no doubt sell very well due to the heavy Pirates of the caribbean representation. Hopefully something like this can bring others to Korngold's music. Those who buy it for the newer themes and end up seeing how awesome the Korngold tracks are, and want to explore further. 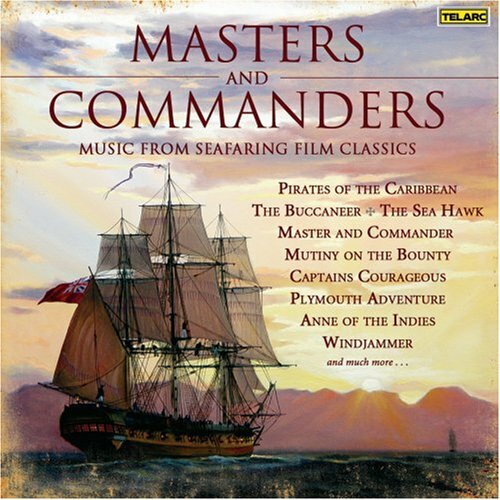 It reminds me of when Silva America released a Swashbuckler's compilation 10 years ago which had music from Sea Hawk & Captain Blood as well as more modern films such as Hook. Hopefully these recordings are more successful than those, though. Mine came the other day, and it's a fun CD. I especially liked the Waxman and Gould pieces which I had never heard (of) before.